Uptown Update: George Maher Designed Home Destined For Rebirth? George Maher Designed Home Destined For Rebirth? 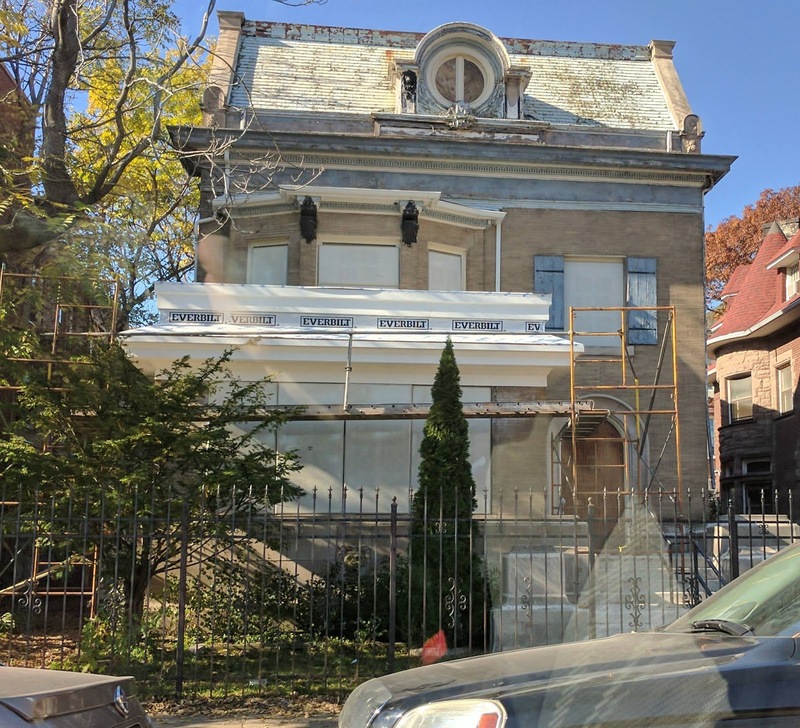 Could this stately George Maher designed home in the 4500 block of Sheridan be another candidate for renovation? You might recall that due to budget cuts, Heartland Alliance ceased operation of its Neon Street shelter leaving this home's future in question. The single family home directly to the north recently sold so now that scaffolding has been erected around 4506, could Heartland be preparing to sell this home? It appears that the wrought iron that was over the top of the porch in July has been removed and it now looks more similar to the original design seen above from 1902. Maher designed homes are selling for a premium. Time will tell. For a glimpse inside the home, check out this link. I believe that house was also the former funeral home where the body of John Dillinger was taken before being sent to Indiana for burial.